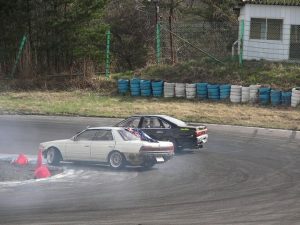 When you think of drifting in Japan, the world-renowned Ebisu circuit located in the highlands of Nihonmatsu city, Fukushima prefecture – about 250 kms north of Tokyo has to be on top of the list. Ebisu circuit is quite literally heaven on earth for drifters. Inside the massive complex, there are 7 race circuits and 2 skid pans – yes SEVEN tracks in one complex! 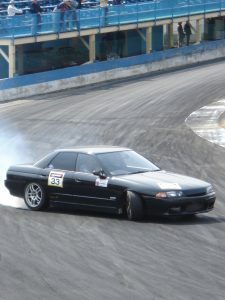 Four out of the seven tracks are full-time dedicated drift tracks. North course, South course, School course and Touge (mountain pass) course. The two skid pans are named Kuru-kuru land 1 and 2. The other two tracks, West and East track are predominantly for grip/time attack style racing. These tracks are open to the public for use every day, all year round, except for days when there is a competition such as D1GP or Formula D Japan, or when the tracks are closed for maintenance, being rented by a private group or covered in snow during the winter months, which is usually most of January through March. Please check in advance the availability of the track you’re hoping to use before coming. Anyone can come to Ebisu and drift. There are a ton of options. You can bring your own car. You can buy a car through Powervehicles which is situated inside of the Ebisu circuit. You can buy a car privately through FB groups like Gaijin Ebisu Drift cars where most of the cars are at Ebisu already. You can take a Team Orange drifting lesson from a professional drift driver such as Naoto Suenaga from Team Orange who supply you with a car and everything else you need for the lesson. If you don’t want to drive, you can experience drifting by taking a ride in the Team Orange drift taxi. You can even share the taxi fare if you go with a couple of your friends. Or if you bring your helmet along, you might even be lucky enough to bum a passenger ride with a driver who is there practicing. If you just want to come for a look, that’s fine also. There is almost always something to see any day of the week, whether it be locals or foreigners having fun or pro drivers practicing for an up-coming competition or a full blown competition. During the Drift matsuri events, which occur three times a year in Spring, Summer and Fall – all 7 tracks are open to drifting! This includes the West and East courses which are usually reserved for grip racing only. These matsuri (Japanese for festival) run over a whole weekend – from Saturday morning right through the night until Sunday afternoon. That’s around 44 hours of non-stop free drifting on all the tracks. These matsuri weekends attract large crowds and you could expect to see 100+ car and driver entries, with a large portion of them being foreigners. Check the Matsuri pages for precise info. The week leading up to each matsuri is known as ‘drift heaven week’, as there are a ton of people here prepping and practicing for the drift matsuri and also for the foreigner-only drift competition G1Gp which is put on by the Ebisu staff the Friday before each drift matsuri. Read more about G1Gp on this page. 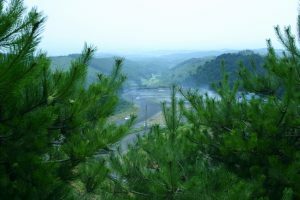 Because Ebisu is a fair hike from Tokyo and it’s too big and too much fun to just come for a just one day, many visitors choose to stay for several days to get the most out of their trip. There are several places nearby available for accommodation. For close access to shops and restaurants, there is the Urban Hotel in front of Nihonmatsu train station. If you’d like something a little more quiet and natural, there is Adatara forest park which has cabins which you can rent out. 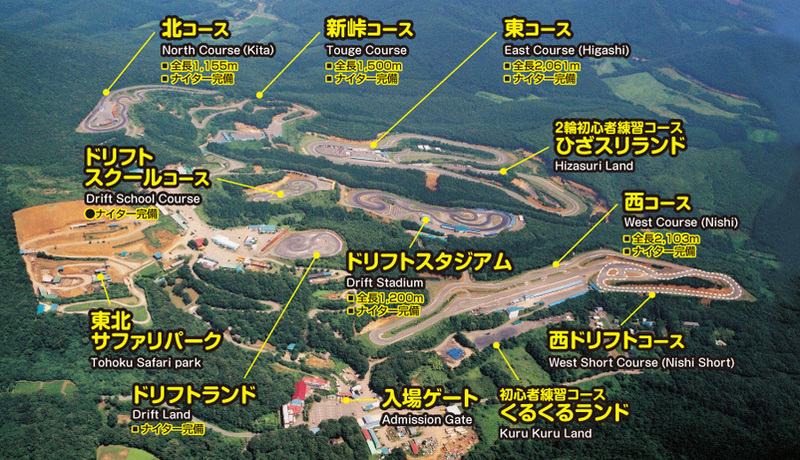 As for getting to Ebisu circuit, there are a few options to choose from. You can hire a car from Narita and drive all the way up the highway to Nihonmatsu. Every hire car in Japan has Sat navigation (but it’s likely to be programmed in Japanese), but you probably also have Maps on your mobile phone (just make sure you have a data plan to use in Japan) so you can follow that to Ebisu. By car from Narita, it takes about 4 to 5 hours to arrive at Ebisu circuit. There is also a Shinkansen (bullet train) which you can catch from Tokyo up to Koriyama station (1hr 40-minute). 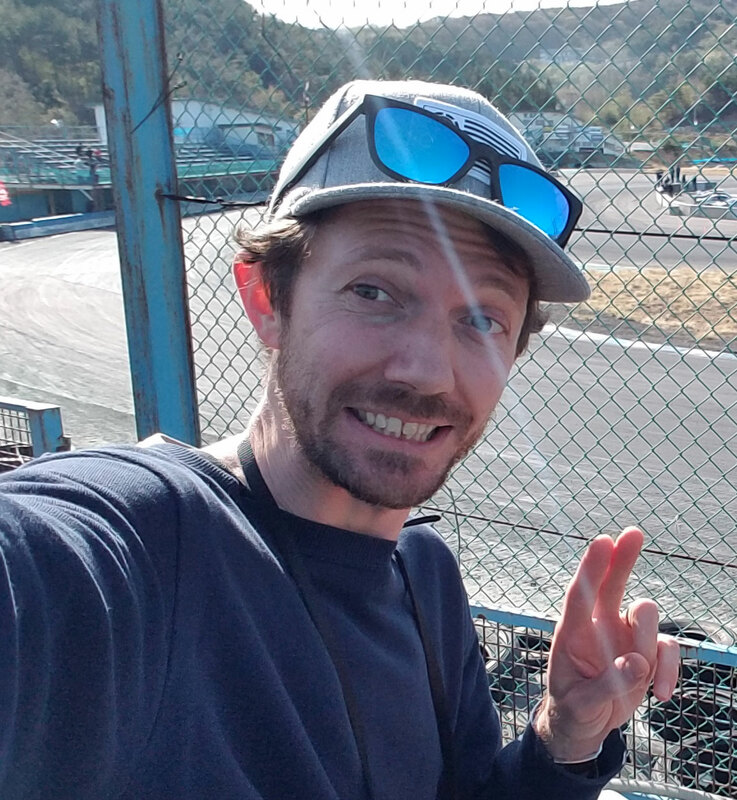 From Koriyama, you can catch a local train to Nihonmatsu station (approx a 30 minute ride) and then a taxi up to the circuit (about 20 minutes). It’s easy to see why Ebisu circuit is known as ‘drift heaven’. Hundreds of foreigners visit Ebisu circuit every year and have an experience they will never forget.